Each and every hair has three layers – the inner fiber called the medulla, the middle layer called the cortex that surrounds the medulla and the outer layer called the cuticle that protects the hair from damage. When the cuticle of a hair gets damaged, the hair becomes dry and loses its shine and luster. 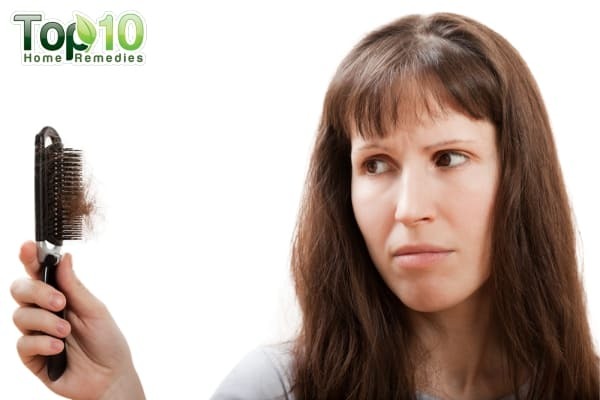 Other signs of damaged hair include brittle or harsh texture, split ends, breakage, itchy scalp and no elasticity. Also, damaged hair gets tangled easily and can be difficult to manage and style. Your hair can become damaged for a variety of reasons. 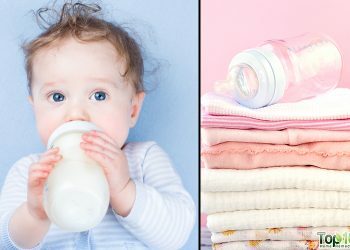 Some common causes include excessive washing with harsh alcohols and soaps, exposure to dry and hot climate, use of heating tools like blow dryers, excessive styling, exposure to harmful ultraviolet (UV) sunrays, swimming in chlorinated water, lack of moisture in the hair, use of chemical treatments, friction due to sleeping on cotton pillowcases, and stress. 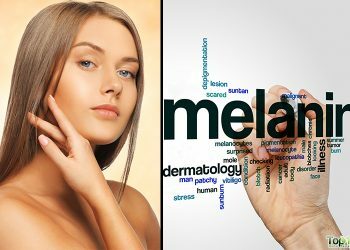 One can also have damaged hair due to certain medical conditions like underactive thyroid, a hereditary problem, malnutrition and anorexia nervosa. Though trimming is the best way to get rid of damaged hair, you can also try some natural, safe and effective home remedies to help repair your dull and lifeless hair. However, damaged hair cannot be repaired just in a day or a week. It will take time and patience to get the desired result. 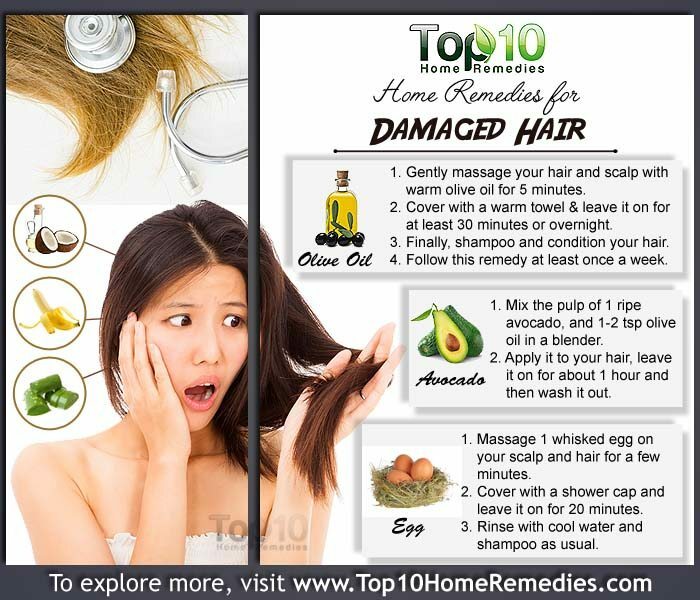 Here are the top 10 home remedies for damaged hair. Olive oil is very good for damaged hair. Packed with fatty acids, several antioxidants and vitamin E, olive oil heals the damaged layers by sealing the cuticle with moisture. It also protects the hair from further damage. Apply warm olive oil on your scalp and hair shafts. Massage gently for a few minutes, and then cover your hair with a warm towel. Leave it on for at least 30 minutes or overnight. Finally, shampoo and condition your hair. Follow this remedy at least once a week. Alternatively, mix together 1/4 cup of olive oil and 1/2 cup of honey. Warm this mixture and apply it to your hair. Leave it on for 30 minutes, then rinse it out well with lukewarm water and shampoo your hair as usual. Follow this remedy 1 or 2 times a week. 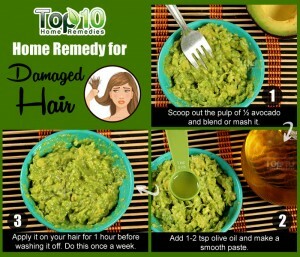 Being rich in vitamins, fat, protein, essential fatty acids and natural oils, avocado can help repair your damaged hair. Avocado coats and softens the hair to keep it hydrated and flexible. It can also prevent free radical damage to your hair in the future. 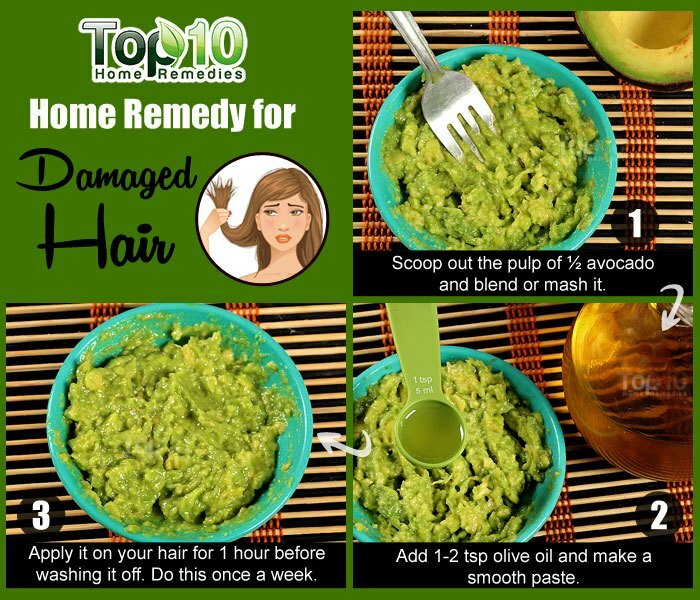 Depending on the length of your hair, mix the pulp of ½ to 1 ripe avocado and 1 to 2 teaspoons of olive oil in a blender until you get a thin, smooth consistency. Apply it to your hair, leave it on for about 1 hour and then wash it out. Alternatively, mash 1 ripe avocado and add 1 egg yolk and enough coconut milk to make a thin paste. Apply it on your scalp and hair and massage it in for 5 minutes in circular motions. Allow it to sit for 1 hour, rinse it off with lukewarm water and then shampoo as usual. Follow either of these treatments once a week and soon your hair will become healthy. Eggs can provide nutrients and nourishment that has been depleted from damaged hair. Egg yolks have protein, minerals and essential fatty acids that can nourish the hair strands and impart a natural shine. Plus, the enzymes in egg whites help cleanse your hair and scalp. Massage 1 whisked egg on your scalp and hair for a few minutes. Cover with a shower cap and leave it on for 20 minutes. Then, rinse with cool water and shampoo as usual. Alternatively, beat 2 eggs along with 1/2 cup of yogurt. Add 1-1/2 tablespoons of almond oil and beat again until you get a creamy texture. Massage your scalp and hair with this mixture. Cover your head with a towel for 30 minutes, then rinse it off with cool water and shampoo your hair. Follow either of these treatments once every two weeks. Aloe vera is good for repairing damaged hair. Its humectant properties can soothe the hair shaft. 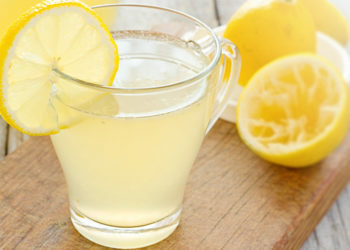 It also contains enzymes, amino acids, and vitamins C and E that are good for your hair. Apply some aloe vera juice directly on your damaged hair. Leave it on for 10 to 15 minutes, then wash it off with warm water. Alternatively, mix 4 tablespoons of aloe vera gel, 2 tablespoons of coconut oil and 3 tablespoons of plain yogurt. Stir it well and apply it on your hair. Let it sit for at least 30 minutes, then rinse it off and wash your hair with a mild shampoo. Follow either of these remedies once a week. Coconut oil is packed full of nutrients that are good for your hair. It easily penetrates deep into the hair shaft, in turn preventing the cuticle from becoming damaged and making your hair healthy. Massage your scalp every day, or at least 3 times a week, for about 5 minutes with warm coconut oil. Leave it on overnight. Wash your hair the next morning with a mild shampoo. Alternatively, mix 3 tablespoons of warm coconut oil in 1/4 cup of honey. Blend thoroughly and then apply it on your damp hair. Let it sit for 20 to 30 minutes, then rinse it off with warm water. Do this 1 or 2 times a week. Bananas can also help repair damaged hair. The high potassium, fortifying vitamins, natural oils and moisture content in bananas can help soften your hair and improve its elasticity. Mash 1 ripe banana and work it thoroughly into your hair. Allow it to sit for 1 hour, then rinse it off with lukewarm water. Alternatively, prepare a hair mask by blending together 2 overripe bananas with 1 tablespoon each of coconut oil, honey and olive oil. Apply this paste on your hair, leave it on for 20 to 30 minutes and then rinse it off with warm water. Follow either of these remedies once every week or two. 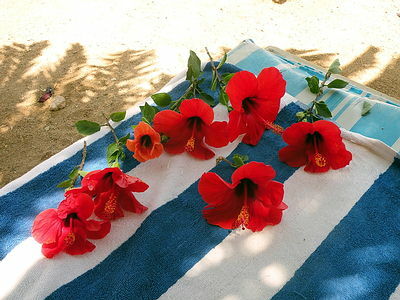 An excellent Ayurvedic remedy to promote hair growth and repair damaged hair is hibiscus. Hibiscus seals the hair cuticles with moisture and helps add shine and luster to dry, damaged hair. Heat 8 to 10 hibiscus flowers in 1 cup of coconut oil until charred. Strain, allow it to cool and then use it as hair oil. Massage this oil on your hair for a few minutes and leave it on for at least 30 minutes before washing your hair. Alternatively, grind 3 or 4 hibiscus leaves and the petals of 2 hibiscus flower with a little water. Apply it all over your hair, leave it on for 20 minutes and then rinse it off with lukewarm water. 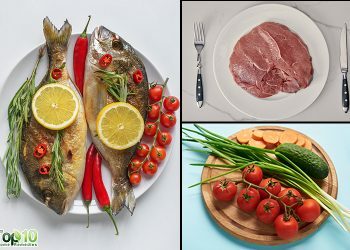 Repeat either of these remedies once or twice a week for best results. Black tea is also good for dry and damaged hair. 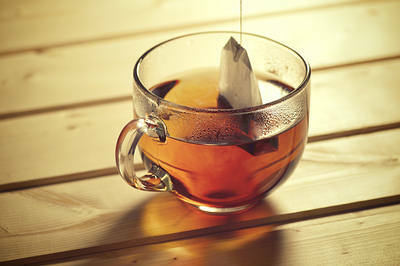 Being rich in polyphenols and vitamins C and E, black tea adds shine and softness to damaged hair. It also protects the hair against the damage caused by UV rays. Boil 1 cup of water and then add a black tea bag to it. Cover and allow it to steep for 10 minutes. Add 1 or 2 drops of jasmine essential oil and allow the water to cool. Use this as a final rinse after your regular shampoo. Leave it on for 10 to 15 minutes, then wash it off with water. Follow this treatment 1 or 2 times a week. 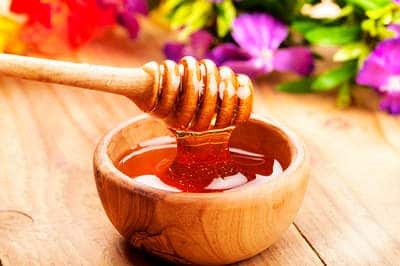 Honey is very nourishing for damaged hair. It can attract and lock moisture into your hair cuticles and make them soft and healthy. Mix 1/4 cup of organic raw honey with enough water to thin it out. Apply it to damp hair and allow it to sit for 30 minutes. Then rinse it out with warm water. Follow this treatment twice a week for effective results. Alternatively, prepare a hair mask with 2 tablespoons of honey, 1 tablespoon of plain yogurt and 1 tablespoon of olive oil or coconut oil. Mix well and warm it. Apply it on your hair and put on a shower cap. Rinse it off after 20 minutes. Use this hair mask once a week only. Note: Frequent use of honey hair masks can lighten your hair. 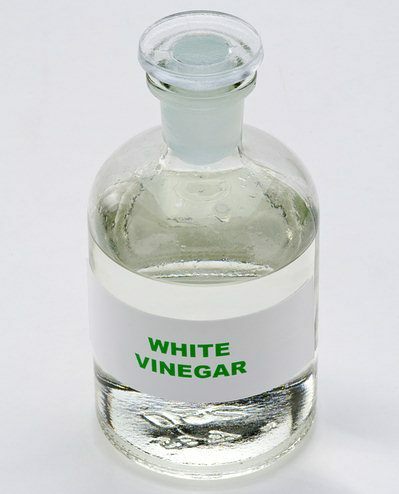 To treat damaged hair, another popular remedy is white vinegar. Its clarifying properties help remove built-up residue from the hair and seals the cuticle. Plus, white vinegar helps restore the natural pH level of the scalp, promotes healthy hair growth and will make your hair soft and shiny. Mix 1 cup of distilled white vinegar and 3 cups of water. Use it to rinse your hair after conditioning. Rinse it out with lukewarm water and towel dry your hair. Do this once a week or every few weeks. Massage your scalp for a few minutes daily before going to bed to stimulate the hair follicles. Avoid excessive use of heating tools or chemical-based products on your hair. Wash your hair well with a mild shampoo 3 or 4 times a week. Use a conditioner, but be sure to thoroughly rinse it out. Use a towel to gently squeeze out the excess water from your hair after each wash, then let your hair air dry. Be gentle while brushing your hair with a wide-toothed comb, or use a brush with natural bristles. When you go swimming, make sure to rinse your hair with water before and after. Protect your hair from the sun by wearing a hat or a bandana. Use accessories that don’t tangle easily in the hair. Follow a healthy diet plan and drink plenty of water throughout the day. Do regular exercise for improving overall health as well as the health of your hair. Sleep 6 to 7 hours daily and use satin pillowcases when sleeping. Reduce stress as it causes damage to your hair. its realy a very useful . . Information . . .
Regular/ frequent application of lime/ lemon or any citric fruit and honey to the hair leads to greying overtime (commonly known properties of both). Except for honey based treatments in this page, rest are good to apply. castor oil is also very good to repair damaged hair.u can try it. BY USING UR REMEDIES I GET MANY SOLVING OF MY HAIR………THANKS!!! Banana with milk or yogurt or avocado with yogurt is an excellent remedy for damaged hair. i found by just leaving conditoinor in and not putting heat to your head like blow dryers or straighting ot anything like that can help a ton.